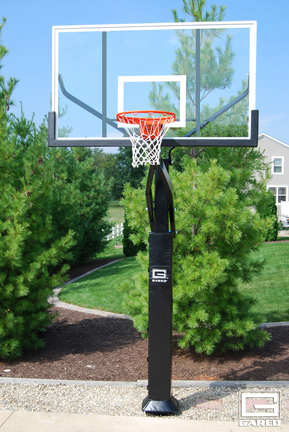 You found Pro Jam Adjustable Basketball System with Polycarbonate Backboard in category Accessories and subcategory Basketball Equipment. 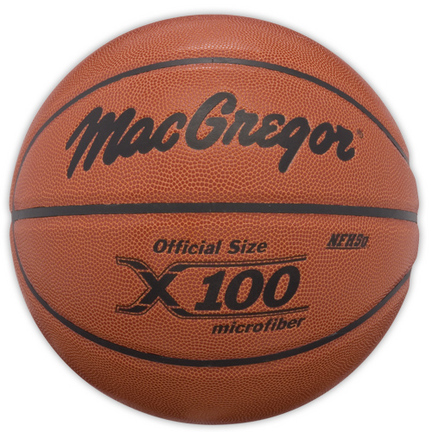 If you need to buy more Basketball Equipment than you are on the righ place. The Outer Limit Pro has been used exclusively in all NBA Arenas since the 1985-86 season. 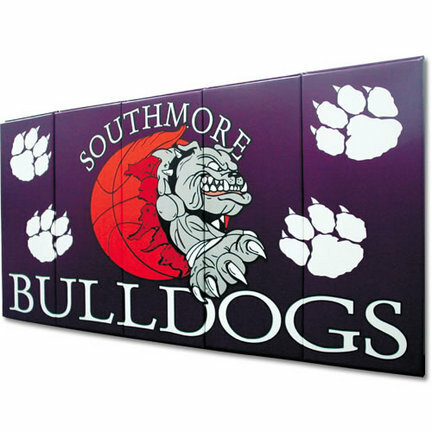 It is the symbol of the unmatched quality, pride and craftsmanship we infuse in every product we make.42" X 72" backboard. 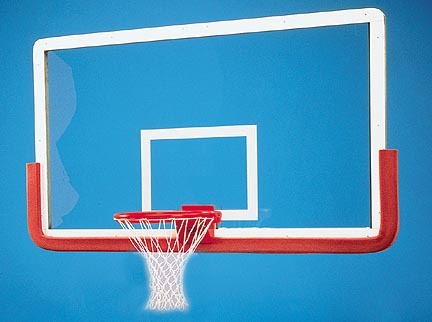 Hole spacing is 5" x 4 1/2".1/2" tempered glass and one piece welded aluminum frame overlay.Used in all NBA arenas since the 1985-86 seasonReinforced with a strut system, making it the strongest backboard available today6" of additional clearance helps reduce potential head and hand injuryStrongest tubular aluminum framing supporting glass means greater board strength and has rounded corners for visual appealRecommended for indoor, pro and college level playMeets NBA, NCA and NFHS specifications.Framed is pre-drilled for bolt-on padding.Lifetime warrantyPlease note that the goal is not included with the backboard. The manufacturer recommends the Snap Back Goal, the Gared Master 3000 or the Collegiate 2000+ Breakaway Goal . The manufacturer also suggests the Pro Mold Cusion Edge for protection.Online Sports is an Authorized Online Dealer of Gared Sports products. PLEASE NOTE: THIS ITEM CANNOT SHIP VIA 3-DAY DELIVERY.Wall pads are manufactured to absorb impact. 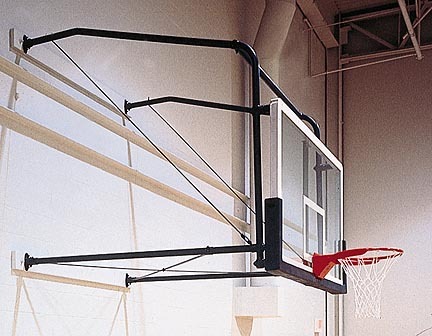 Used primarily behind basketball goals, they can help protect against injuries to players. Constructed of 1/2" Novaply wood backing with your choice of either 1-3/8" Crosslink Polyethylene foam, 2" 100 ILD High Density Polyurethane or combine both for a 2-1/2" dual density pad. Wall pads are covered in 18 oz. vinyl and have a 1" lip at the top and bottom for attachment to the wall. Corner round molding or aluminum channel (not included) may be used to cover bolt heads after installation. Installation hardware is not included.This item ships by truck, so please include your phone number when ordering so that you can be contacted to arrange delivery. Adjustable 3'-4' ExtensionsGared Sports' traditional four-point wall mounted backstop is designed for strength and simple installation. Backstop is constructed with 1 7/8" O.D. heavy-wall tubing, malleable castings, heavy gauge stampings and weldments. Backstop utilizes tension straps and threaded rods to increase stability. On extensions greater than 18" top braces are bent for added rigidity. Unit is attached with 2" x 6" wood stringers. Online Sports is an Authorized Online Dealer of Gared Sports products.